Check back regularly as we will be offering some great deals found only on this page. 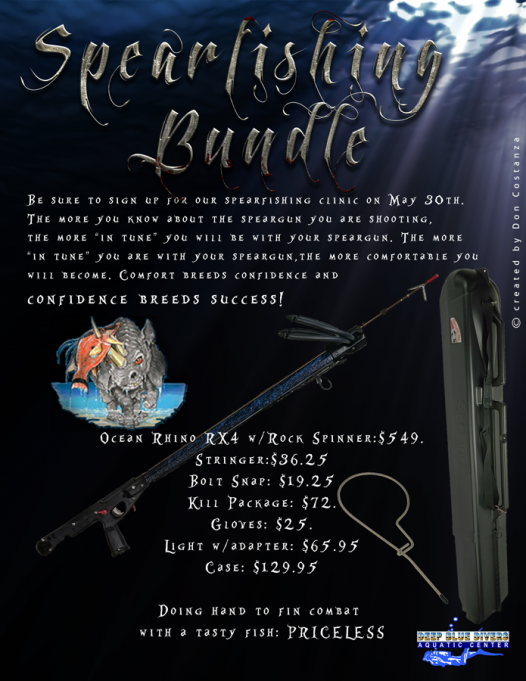 We have created a great bundle for those that would like to not only get Open Water Certified as a scuba diver but also to get Nitrox certified. 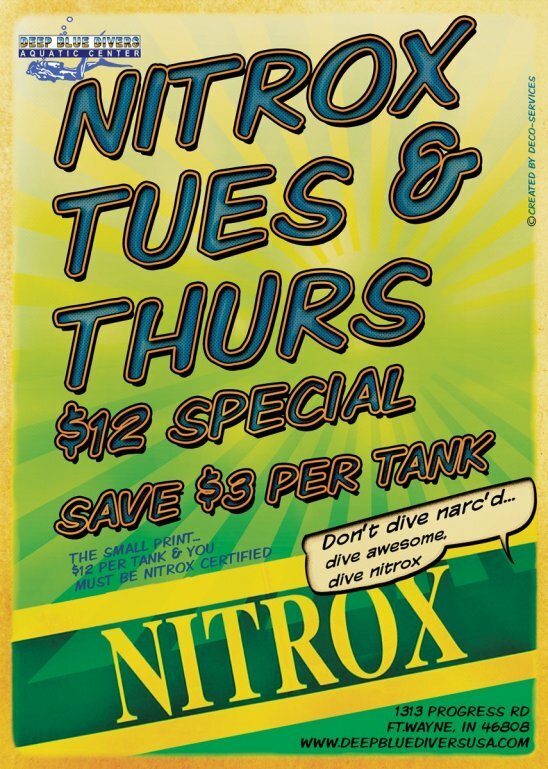 Typically divers opt to dive a gas called Nitrox while on vacation instead of typical air given the safety factor Nitrox affords divers. Now is a perfect time to try one out. 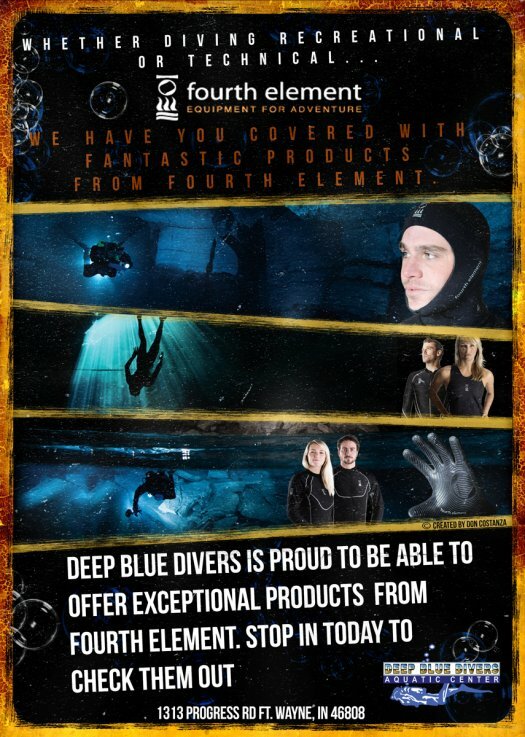 If you purchase a drysuit within 30 days of taking your class, your class costs will apply towards the purchase price. 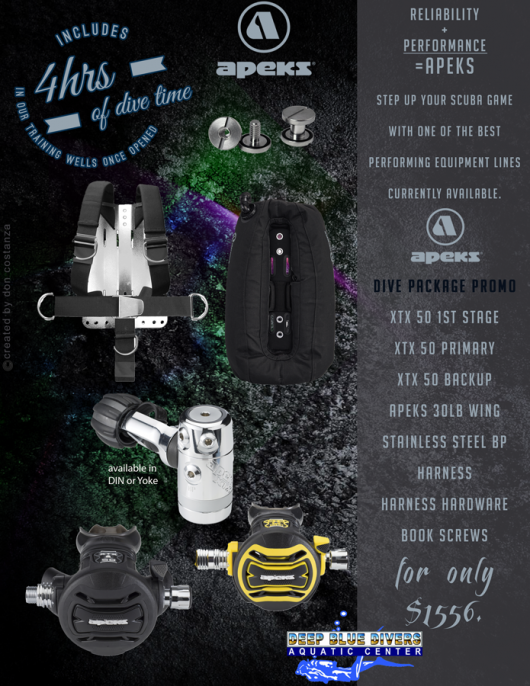 Already familiar with drysuits but perhaps want to try one out? We have Whites Fusion suits in our rental program. 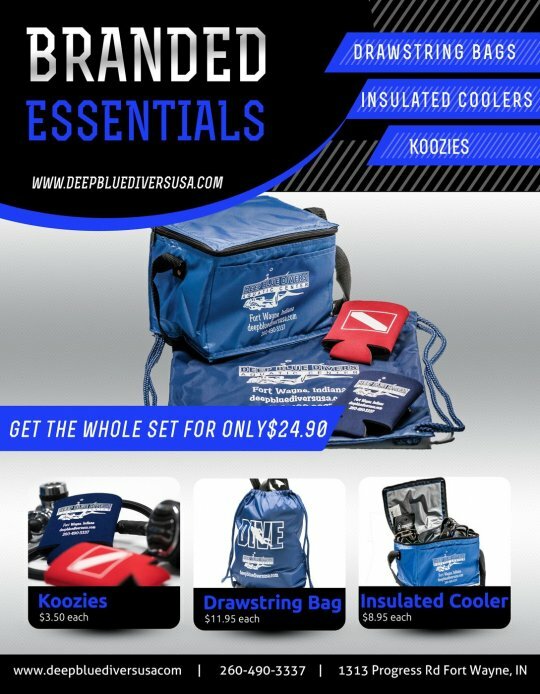 Do you have gear you would like to sell? We are making spaces available for $100 each. 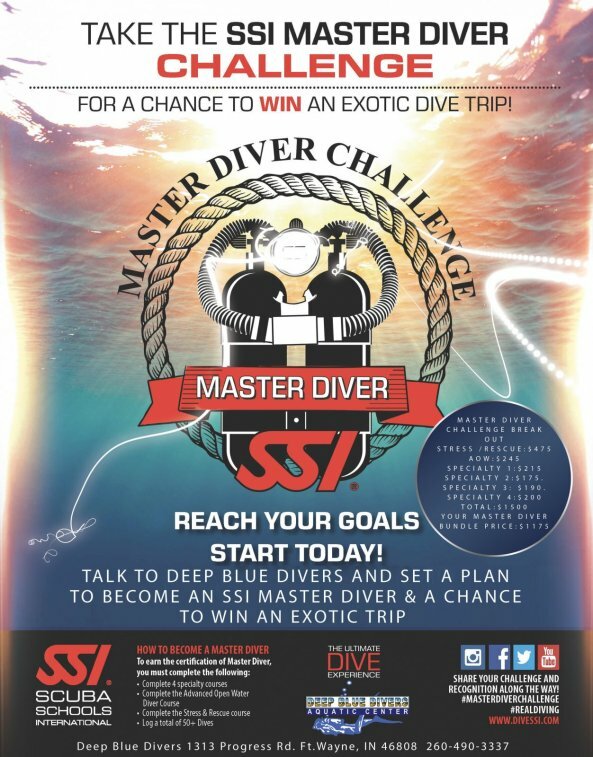 Contact Deep Blue Divers for more info.